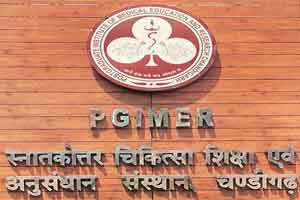 Chandigarh: PGI hospital is organizing a two-day conference on Organ Transplant from October 7 to 9. The conference is being organized by the Department of Nephrology in association with other departments of the hospital including Transplant Surgery, Hepatology, Pulmonary Medicine, Cardiology Cardio-thoracic Surgery, Pathology, Microbiology and Plastic Surgery. The head of Nephrology Department of the hospital, Dr K L Gupta, in a conference on Wednesday told The Indian Express that 25 experts from USA, UK, France and SAARC countries will attend this conference and share their expertise on the subject.